"If these are extraordinary times to be living in then maybe this is the time for an extraordinary rite." I so agree with your question and with Father's answer. I was looking for a Sacred Heart to hang in my room and that was the only one I could find that I could stand. Too much of Catholic pious art (excluding modernist ugly stuff) is saccharine blah. After I first saw that image (as your avatar, I think) I wanted to print it and hang it in my room, but when I went to try I found that my printer was broken. I don't understand the appeal in the other Sacred Heart images. Men wouldn't like it because Jesus is portrayed in that rather feminine, saccharine way, but I also don't understand why women would like it. It's not as if women want an effeminate-looking Christ. I just find the whole thing quite puzzling. I don't like most images of the Immaculate Heart, either, though at least in those it's appropriate for Our Lady to look feminine. Charles Bosseron Chambers has a couple of nice ones, which I don't think are too feminine. You can find them here amongst some of his other work. I don't know if this site is in compliance with Norwegian copy right laws in terms of all of the stuff on it, including Chambers. 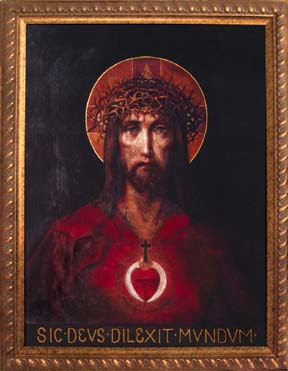 I was able to order one of his Sacred Heart pictures ( http://www.restoredtraditions.com/sacre ... s_pro.aspx, which was not really the one I preferred) along with a lovely one of the Immaculate Heart of Mary from Allposters a while back, though. The Sacred Heart picture I ordered has actually really grown on me. Nice! I love the pictures of Our Lady. Yeah, some of those images on Blue's site are great. I love some of the ones of St Anthony, St Joseph, and a few of the ones on the first page. 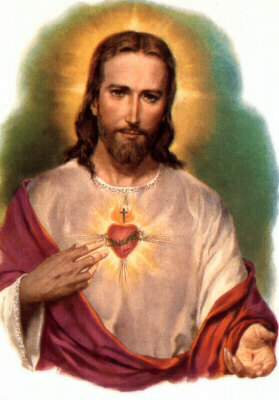 I still think a couple of those Sacred Heart pictures are a bit too feminine though. I really liked the Sacred Heart picture that NB linked to. I agree with the nut. It's available to order from here: http://www.allposters.no/gallery.asp?st ... Field2.y=0 . You can actually get both the Sacred Heart and the Immaculate Heart below the VAT import allowance. Even though it's an .no site and lists its prices in NOK, it ships from abroad. I'm really glad I got them. It's one of the nicest Sacred Heart pictures I've found. There is an even nicer one by Chambers out there, which is similar to one of the pictures on the restored tradition site, but nicer. They're both kind of similar to the one I got too, though, and I don't even know which I would prefer if I saw the other version again. I found the style of hair and beard a little odd to begin with, but it doesn't bother me now at all. I expect there is some kind of meaning to it of which I am oblivious. I also think some of Chamber's images of Christ are a bit effeminate, btw, but at least he has some that are not. Well, in my opinion anyway. It's hard to portray love being communicated from the person to you, without showing sentiment. Exaggerated sentimental postures may look effeminate, but they are an artist's way of conveying the intensity and tenderness of Christ's love. Angels tend to be feminine-looking as well, because that's artists' way of showing their angelic beauty. It is not intended to make them female, anymore than those images of Christ are supposed to take away his masculinity. I don't think they all do, but some of them are better than others. 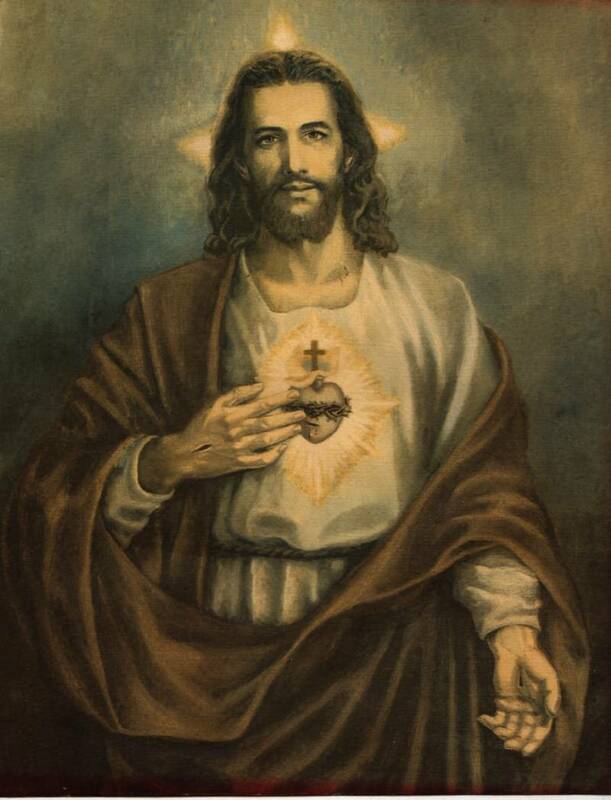 While in some Sacred Heart pictures, Jesus really does look feminine, I don't think that Jesus himself is made to look feminine in those images. Rather, along the lines of what AAD was saying, the posture and setting and background or whatecer strike us as showing an inappropriately sentimental or lovey-dovey Hallmark kind of love. The problem here is that Jesus loves us with a burning, consuming, intense love, and many of these images really fall drastically short in conveying that. Maybe it's that they make love look too easy, in a certain sense. I guess that's why I like the Chambers image I linked in particular. It's subtle enough not to become too effeminate (imo) if the depth of tenderness the artists are trying to portray to convey the strength of His love sometimes adds to the feminine quality, but I have found it to be really powerful as I am availing of it to aid me in prayer. Last edited by Norwegianblue on Mon Nov 08, 2010 7:29 am, edited 1 time in total. I agree with father. And therefore I agree with me.